If you break an arm, you will likely know just what to do – call emergency services or head into your nearest emergency room. If you break your tooth, you may hesitate. If you’re a Greenfield resident, the BGH Dental team is here to help. 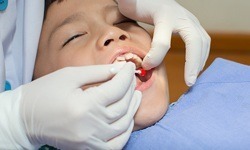 We are happy to offer same day urgent care appointments for patients experiencing dental emergencies. 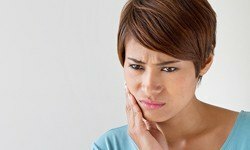 Whatever emergency dental situation you’re experiencing, call our Greenfield dental office right away. One of our knowledgeable dental team members will walk you through first aid over the phone and help you manage your discomfort until you can get to our office. Clean the damaged area using cool water, but don’t scrub or use oral hygiene products unless expressly directed to do so. Use gentle pressure to slow bleeding from soft tissue (gums, lips, tongue, cheek) lacerations. Apply ice at 20 minute intervals to relieve pain, prevent swelling, and slow bleeding. Use floss to dislodge items caught between teeth, but don’t use sharp objects or apply excessive pressure. If your tooth, dental restoration, or a large piece of your tooth or restoration are knocked out, try to replace them where they belong. If you’re unable to replace the tooth or piece of the tooth, store it in a container of water or milk. Don’t ever wear a broken, bent, or poorly fitting denture. You may cause unnecessary damage to your supportive gum and bone tissue.